Company, association, club or any particular group of people that have their own foundation are prone to have a lot of activities and occasions going-on. Thus, to produce a big amount of gifts, t-shirts, or production of any office tools that represent the group will in need of one thing. An important thing that whatever things they produce, it will be needed, applied and be appreciated like ‘this’ represent me – for each of the members. First thing you should know is about “what the basic requirement of every print shop is” – Design format that you provide. This is the new trend and I just think it will keep this way for quite a long time for now. I advise that you keep play along. 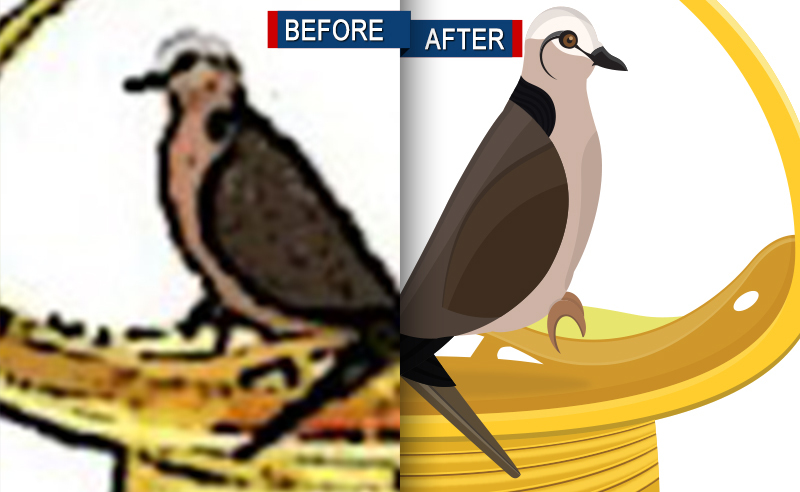 I will provide you a case study of one of my client that did brilliant move to vector their logo and now, they just can apply their logo everywhere easily. An .Ai (refer to adobe illustrator file format) format is also called as vector. Logo that designed in vector format will not be pixelated no matter how many times you resize it. This is because the logo itself did not built from pixels but lines and curves. 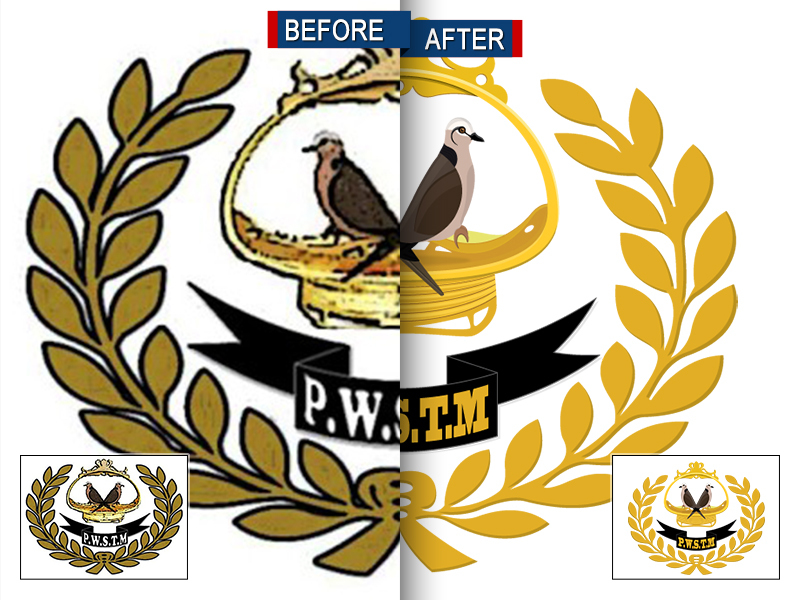 PWSTM (Persatuan Warisan Seni Terkukur Malaysia) do me a big pleasure by allowing me to vector their association’s logo which for a quite while their logo become somewhat ‘unpleasant’ after so many times being reused, reprint and reproduce by so many hands. This is because, as I mentioned the logo is built by using pixels. For sure it will fade by time and reused for so many times. Unless you keep in vault the original untouchable design. But still if it wasn’t big enough, it will be pixelated if you use it on a bigger size of advertisement board or banner. Can you spot the differences between the 2 versions after being vectored? If this is not enough, below is the picture after I zoomed in to both logo at a rate of 500%. Both logos are zoomed at 600% (click to enlarge). There is a big different in quality. Ending this case study, I myself as a designer and do manage printing for my clients feel very happy if my client provide me with their vector design. Especially logo. I rather stay the whole night fixing my client’s logo than just use their pixelated logo provided and present my product design the request the next morning. No offense though. I’m not mocking anybody but this is actually for my own good. 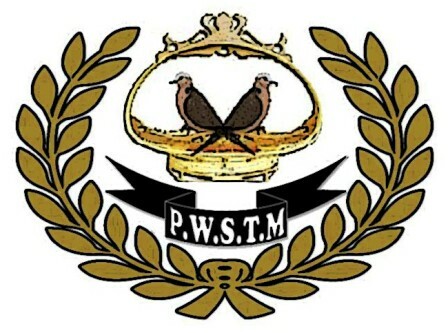 And if you (readers) try to say this to PWSTM (this post case study), stop it because I’m not fixing it because I want it but they concern about the same thing and they requested for it first. I feel like presenting my product design with their low quality pixelated logo (although this is not my fault) is also represent my quality of work. So, as I always do; giving more than what it should worth (ya3~ you are a good guy), I vectored their logo. Em, I should tell you that we not only design for you. But we also enhanced and make your provided artwork better and look presentable and more professional. 😉 Enjoy!